Description: This unit offers lovely accommodation to first time home investor.Situated on the end of cul de sac, very private and on a large, sunny lot. Beautiful forest on the back of property allow nature lowers total country feeling. 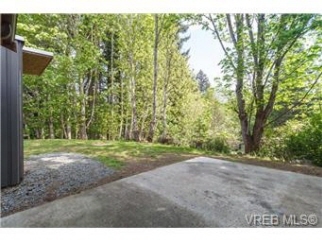 No neighbour.Safe place for children to explore.Very secluded,quiet patio for summer enjoyment w/family,friends. Ample parking.Septic tank is properly maintained,drain field upgraded recently home has been lovingly refreshed,newly carpeted, painted.Spacious kitchen facing south is drenched in natural light and offers pretty outlook.Wood burning fireplace in living room.Bonus room is ideal for an office/storage space.3 bedrooms 2 baths.Immediate possession.Strata 2768 kingswood available for sale.